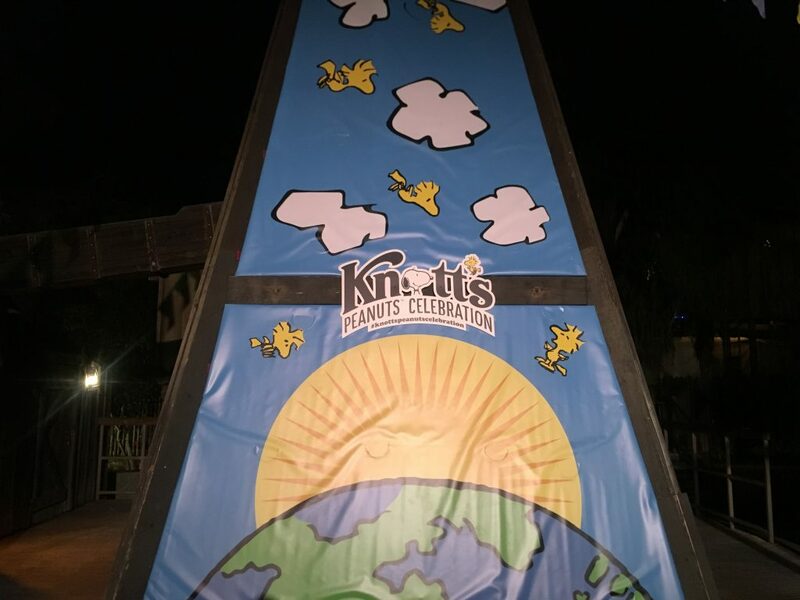 Derrion: The Peanuts Celebrations is back at Knott’s Berry Farm and what an amazing time it was . There were many fun activities for all ages and the atmosphere was superb. 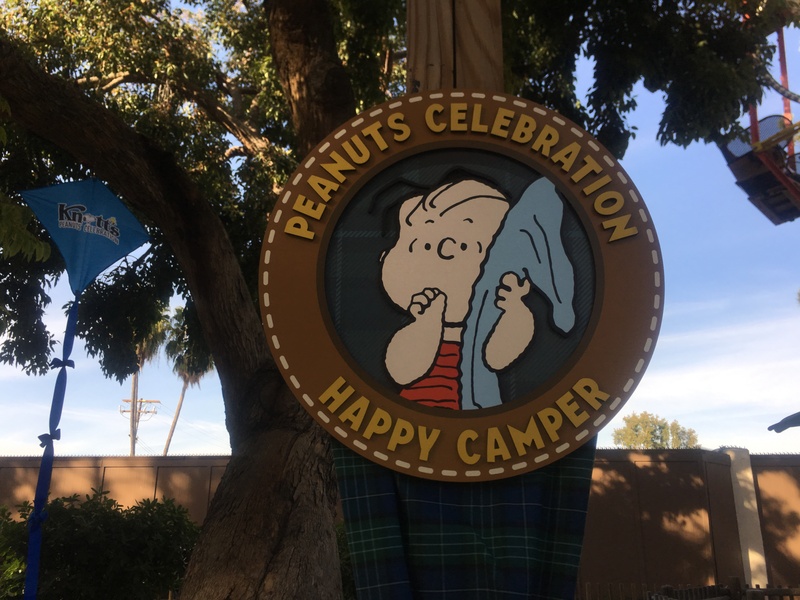 This was my first time experiencing the Peanuts Celebration and I enjoy that the park takes the time to pay homage to the late Charles Schultz. 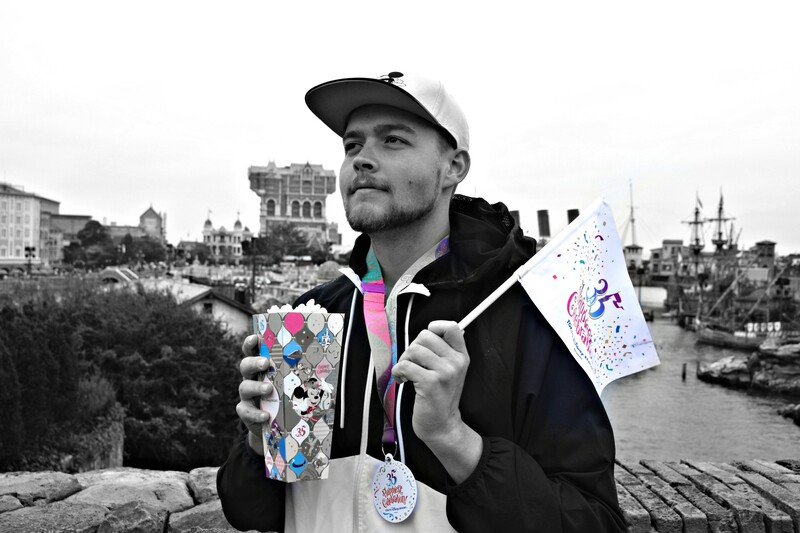 Lets see what is in store for this year’s celebration and also some quick park updates. It was such a beautiful day to visit the park. Southern California has been mid 70’s the entire week which made it a beautiful sunny day. 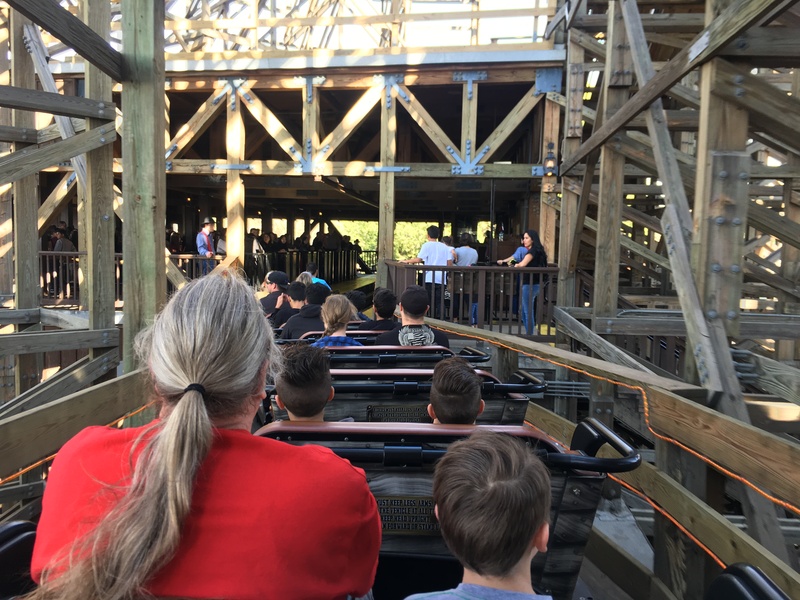 What better way to start the day than with a quick ride on Ghostrider. It was Saturday, so we decided to catch a ride on this attraction first thing to beat the crowds. The line was not too busy and it was about a 30 min wait at 10:45 am. We were surprised to find that there are ride operators now assigning guests to seats. It did not seem to speed up the line, but I think in due time when all of the kinks get worked out it will definitely increase efficiency. 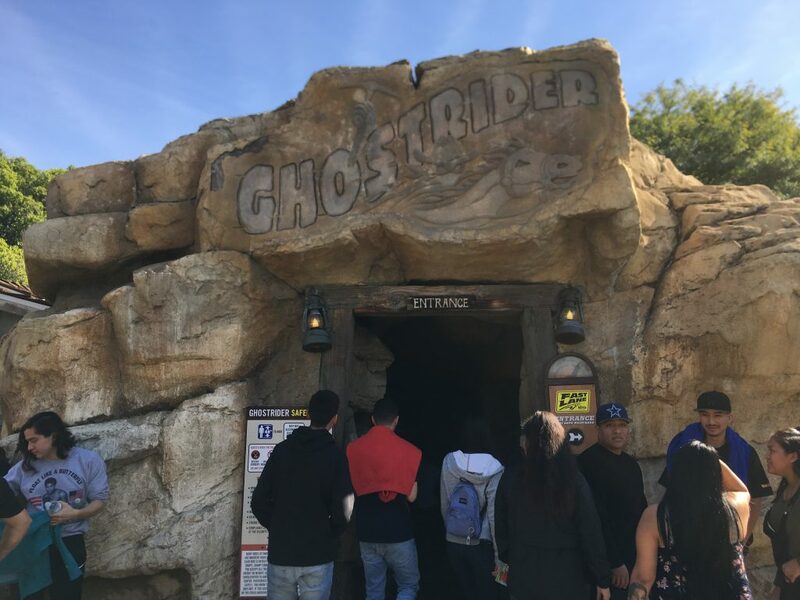 Ghostrider was running two train operations today. As you can see some of the seats on the train were left open, due to the new seating assigning policy. 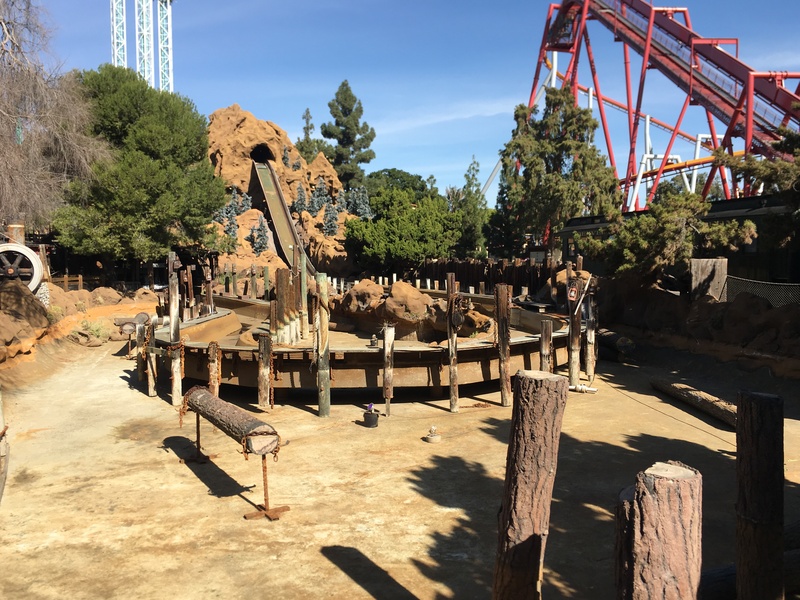 On the other side of the wild west, Timber Mountain Log Ride was down for its routine refurbishment. It was such a nice day out and we missed getting a splash on this visit as both water attractions in the park are closed. More on this later! 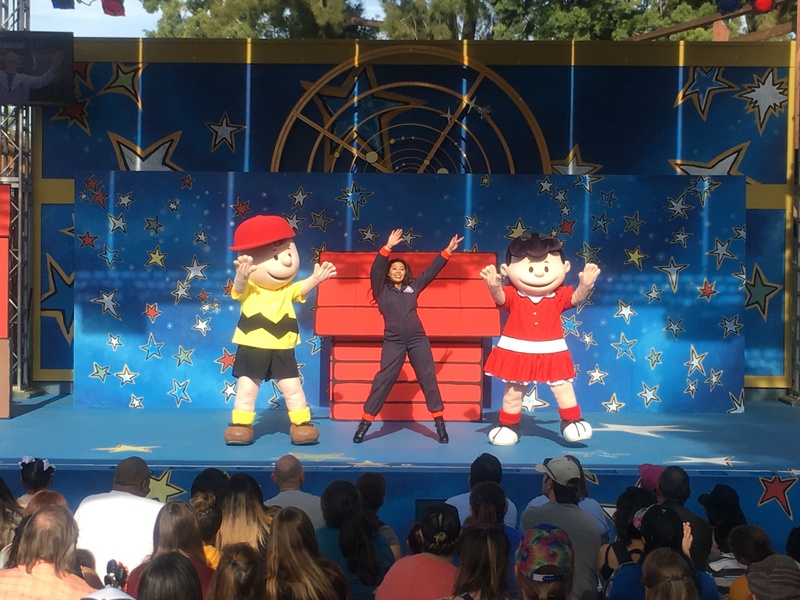 It’s always great riding roller coasters, but the stars of the show today were the Peanuts characters. 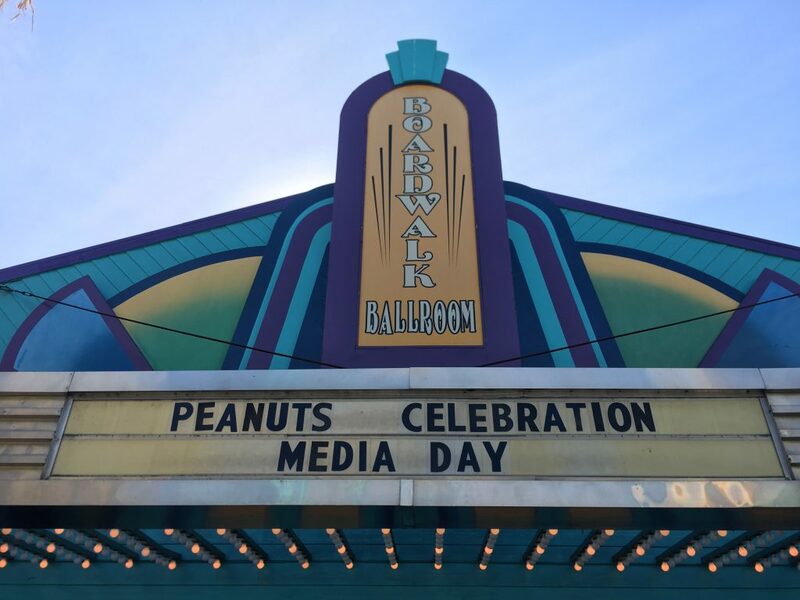 This event was created to pay tribute to the classic Peanuts characters who graced the pages of many comics and cartoons since the 1950s. 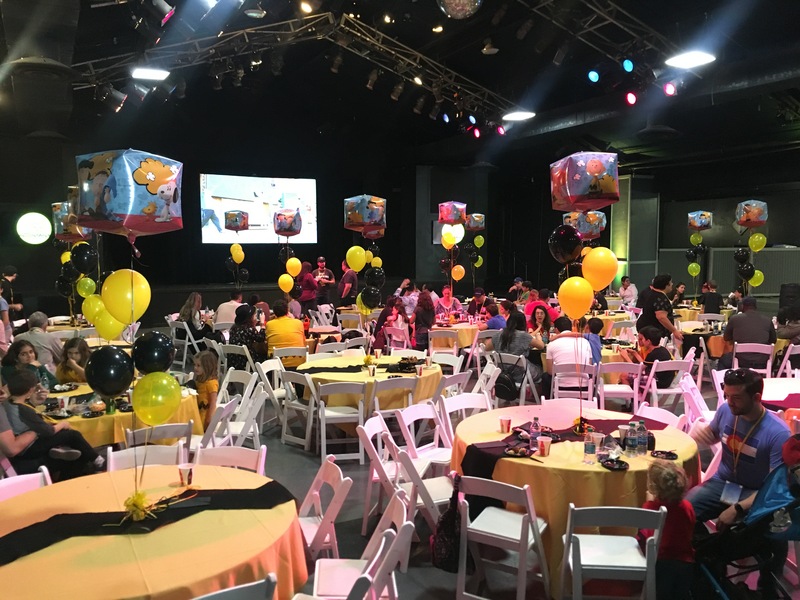 This was my first time in the Boardwalk Ballroom and it was decorated beautifully. The last time we entered this building it was during Knott’s Scary Farm for the ever so pleasing Dark Ride maze. The food that was served was delicious and we got to meet many amazing staff members. They were all very nice. 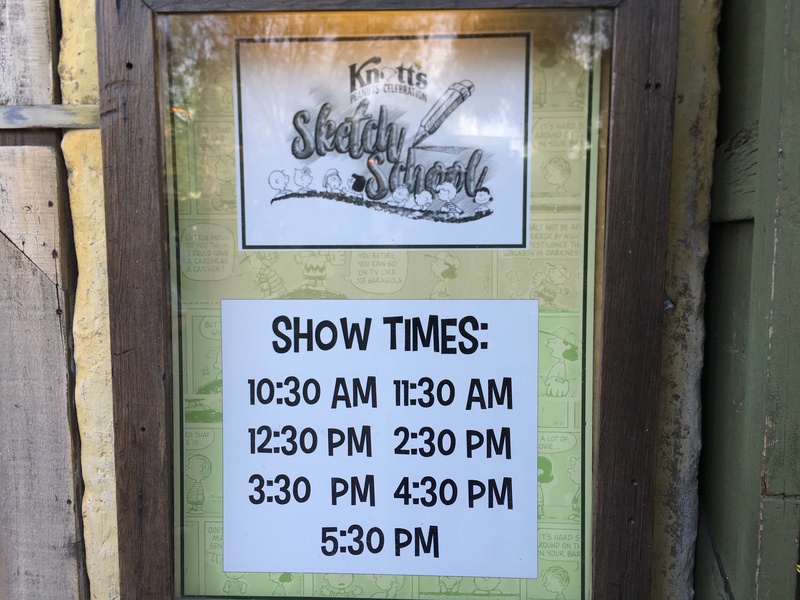 Jennifer, the visual merchandiser for Knott’s Berry Farm, was extremely pleasant to meet. As much as we love merchandise, she mentioned that majority of these items are all brand new. 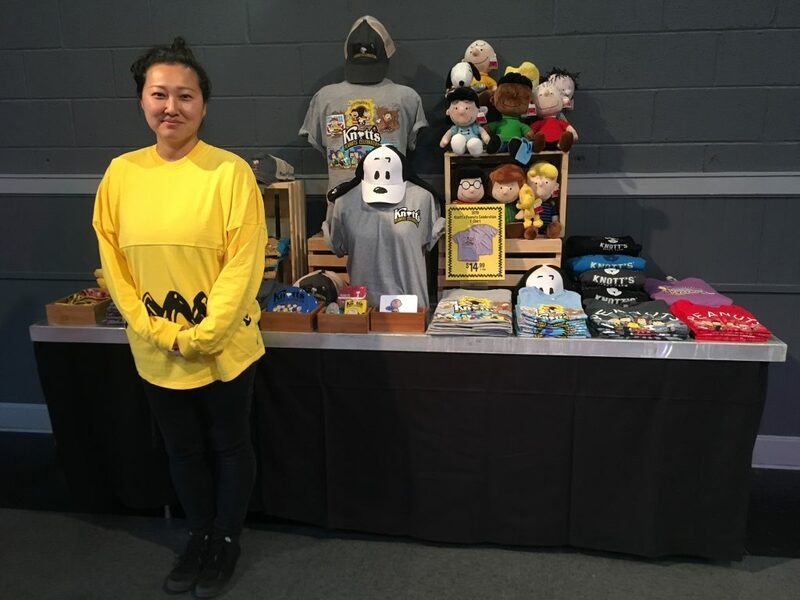 There is a new event Jersey that she is modeling and a “Hot Mess” Peanuts shirt that are must haves. We can definitely not go wrong with food specific to the event. 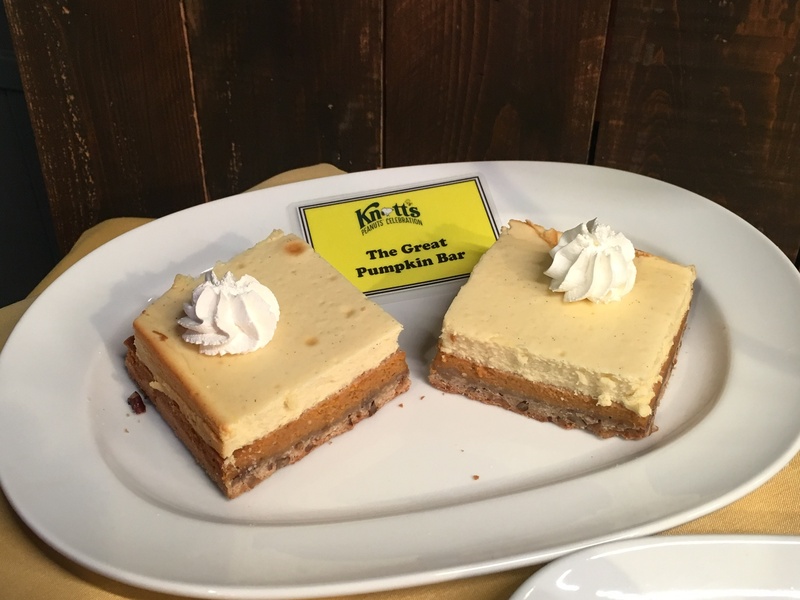 Knott’s Berry Farm had an amazing line up of specialty treats including these delicious pumpkin bars. A lot of the deserts and food were developed to suit the personalities of many of the Peanuts characters. 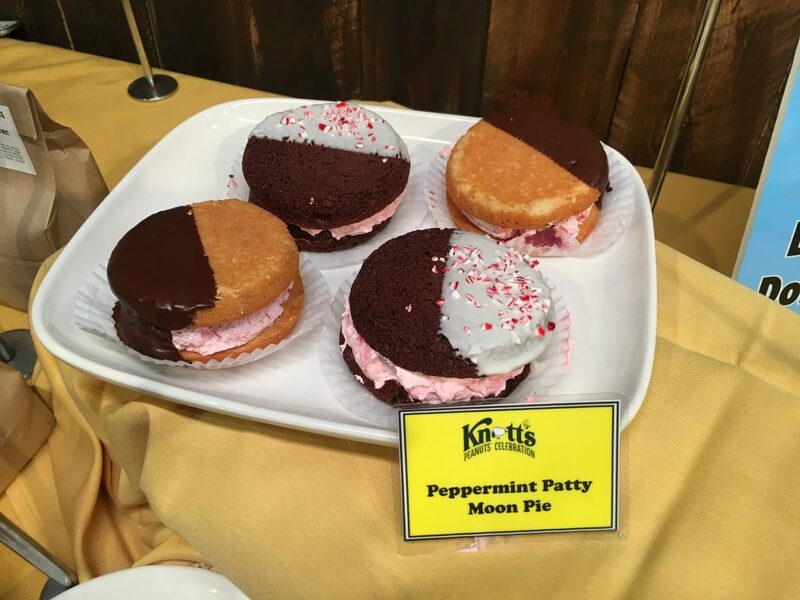 These Peppermint Patty Moon Pies are sure to create a lasting impression on many guests because of its peppermint kick. We had the pleasure of meeting the food and beverage director, Laura. Catch her giving some tips on the foods you do not want to miss in a quick video that will be live on our YouTube page. I told you all there were celebrity spotting on site. Charlie Brown showed us some amazing love and reminded us to come back Febraury 3rd for Charlie Brown day. 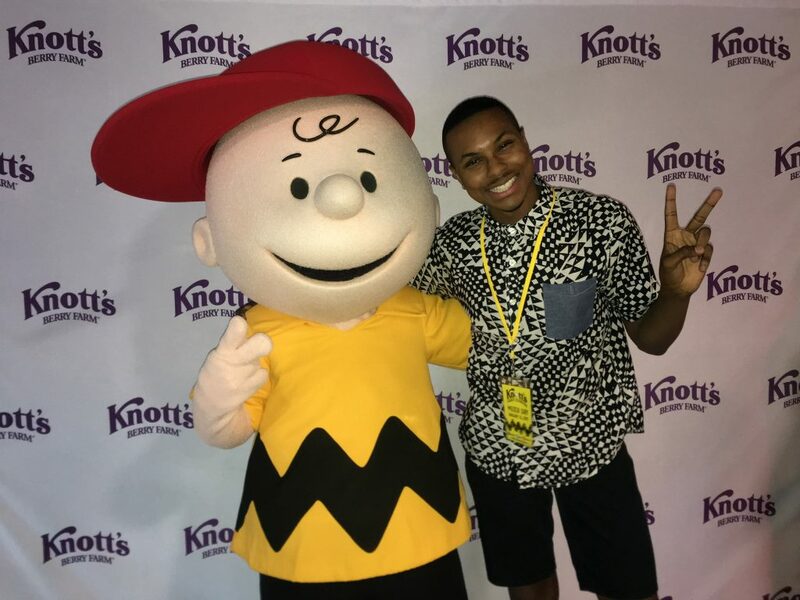 Be sure to wear your Charlie Brown attire as Knott’s Berry Farm looks to break the record for the most Charlie Browns in a photograph. 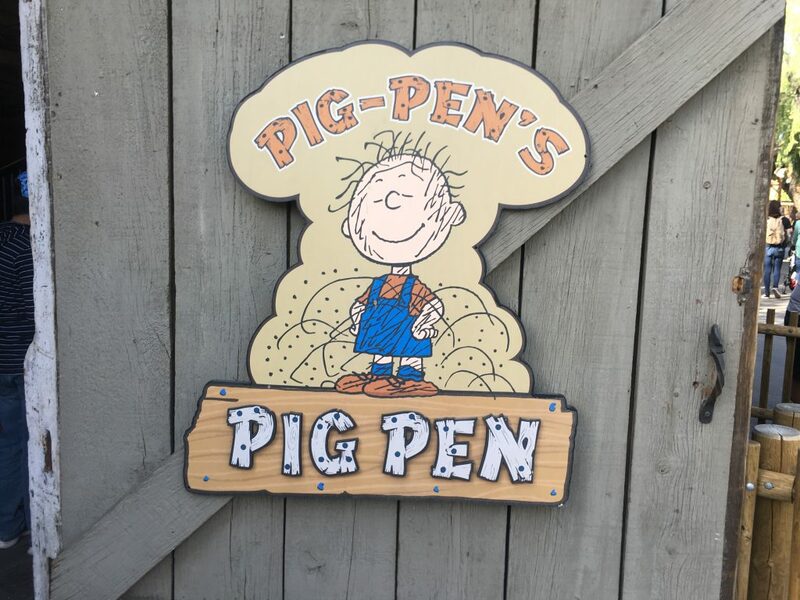 He may not be as polished as Charlie Brown, but Pig Pen has always been one of my favorite characters. 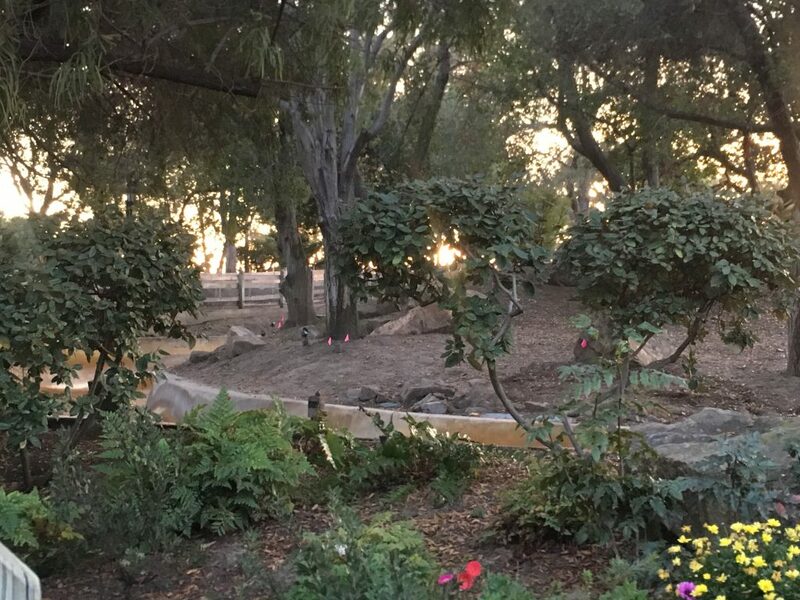 The park honors him by inviting guest to visit some of the animals he tends to play with in his pig pen. He also has his own private meet and greet. 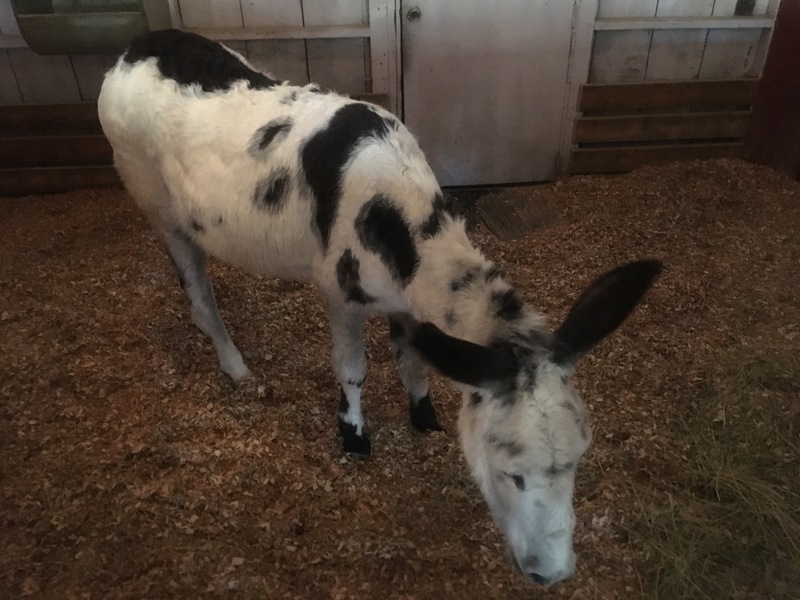 It was great to see some of the livestock in the stable. There were piglets, horses, and even this fellow. Betty was amazing and grazed on lots of hay. 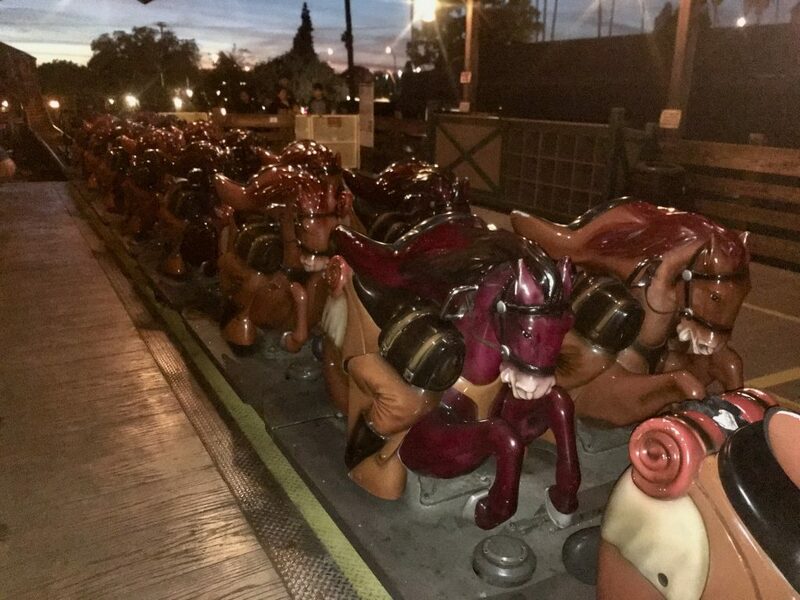 The park employees truly make sure the animals were comfortable with all of the people around them and they all had grand personalities of their own. There can not be a celebration with out the party. “The Music Goes ‘Round and Around” is one of the many performances you will see at the Calico Mine Stage. This show puts a classic twist on the rock and roll era and even has a line dancing workshop for kids during the show. New this year “Space Beagle”, found at the Camp Snoopy Theater, follows Snoopy’s Journey as the first beagle in space. It is very interactive and comedic show. The decorations in the park make it feel like you are inside of the animated classic. 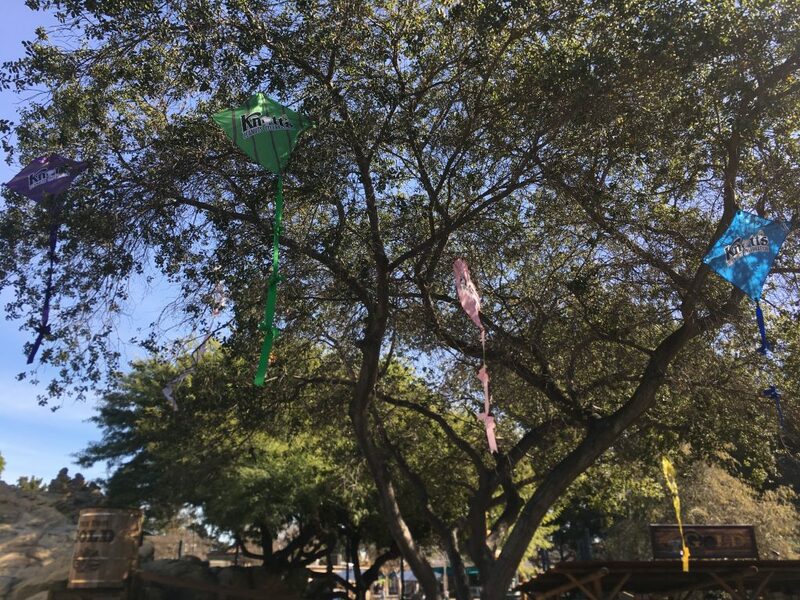 The kites were properly placed, if you recall it was very difficulty for Charlie Brown to learn how to fly a kite and with the help of his friends he was able to do so by never giving up. Linus is my favorite character. As a kid I related to him because we both had a blanket we held dear. 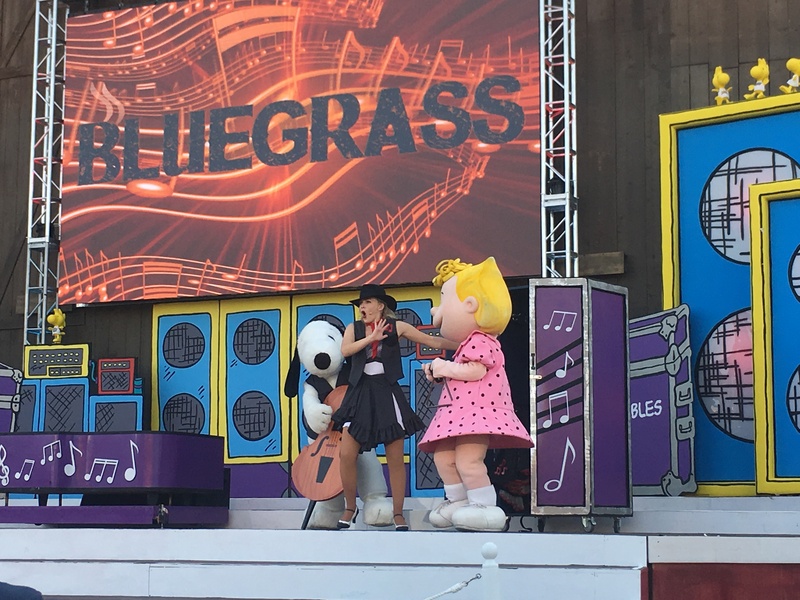 The park did a great job at representing all of the Peanuts characters. 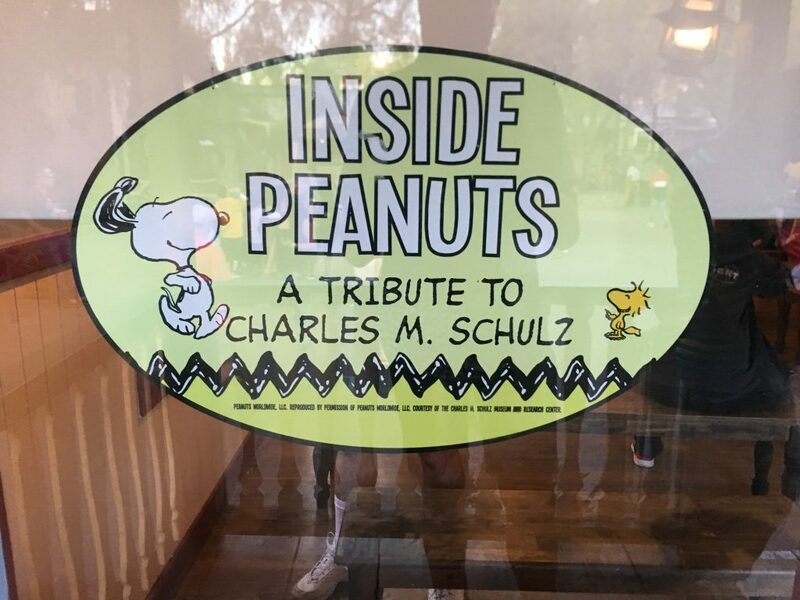 Another nice addition to the celebration is the tribute to Charles Schulz, who is the lead animator/creator of the Peanuts gang. 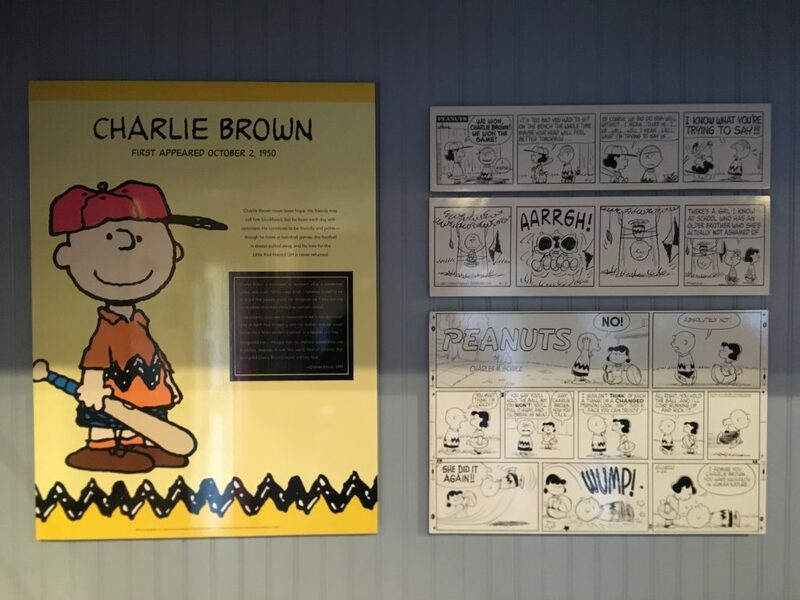 At the city town hall there is a display of comic strips and and nice video homage to Charles Schulz. The first and most popular character, Charlie Brown was modeled after Schulz himself. The character was thought to identify with all men at various stages in their life. This is probably what makes the character so relatable. Just two days after developing Charlie Brown, Snoopy was drafted as the companion to the popular cartoon character. This venue was the previous home to the Ghost Town Alive town hall meetings, it was great to get insight on how these characters started and changed pop culture to this day. 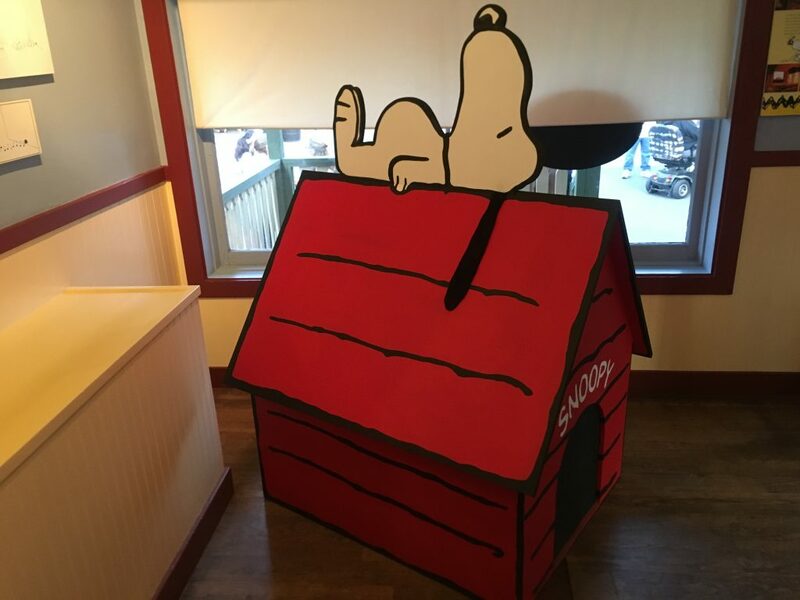 Snoopy’s pal Woodstock also got some love in a re-theme of the Sky Cabin. 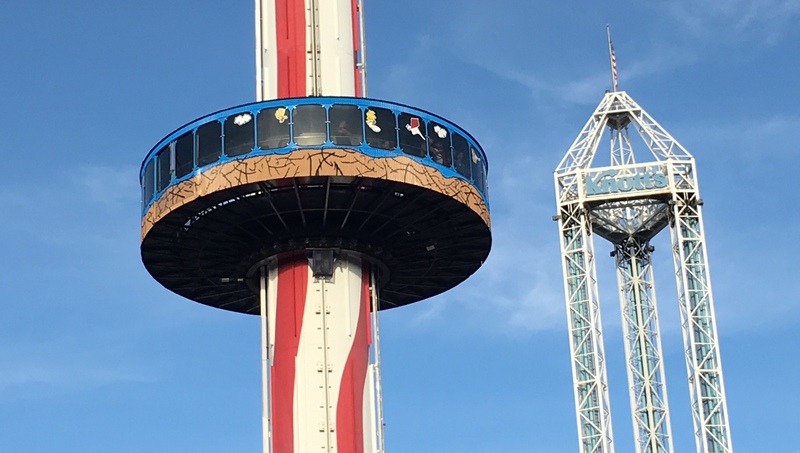 Woodstock’s Birds Eye view is new for 2019 and brings guest on an adventure in the sky with narrated stories from the Peanuts themselves and an all new paint job for the cabin. 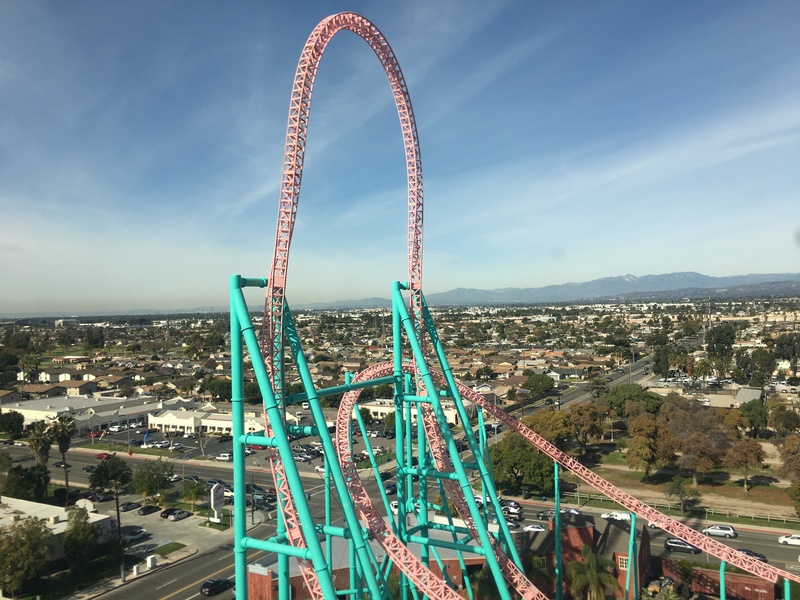 Yes, my favorite coaster in California truly is a beautiful sight. Xcelerator is now back on two train operations and ran beautifully. It still holds the fastest acceleration of any launch coaster on the continent, for now. 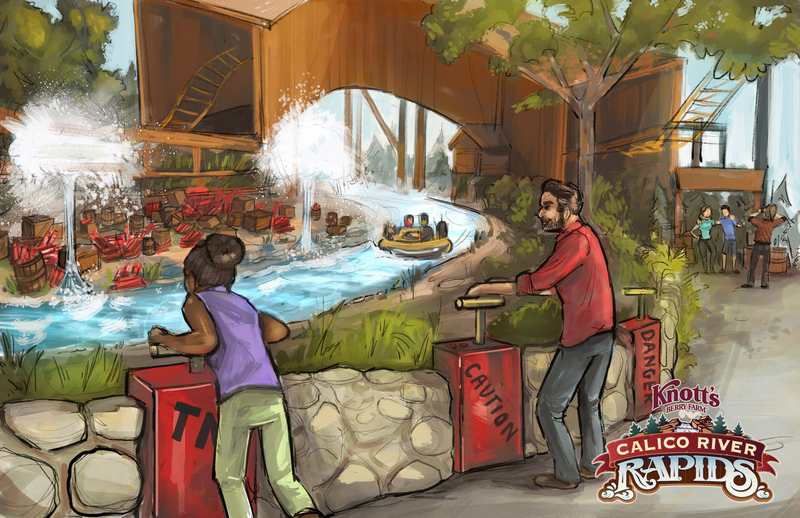 New this year, Calico River Rapids will premiere this summer. 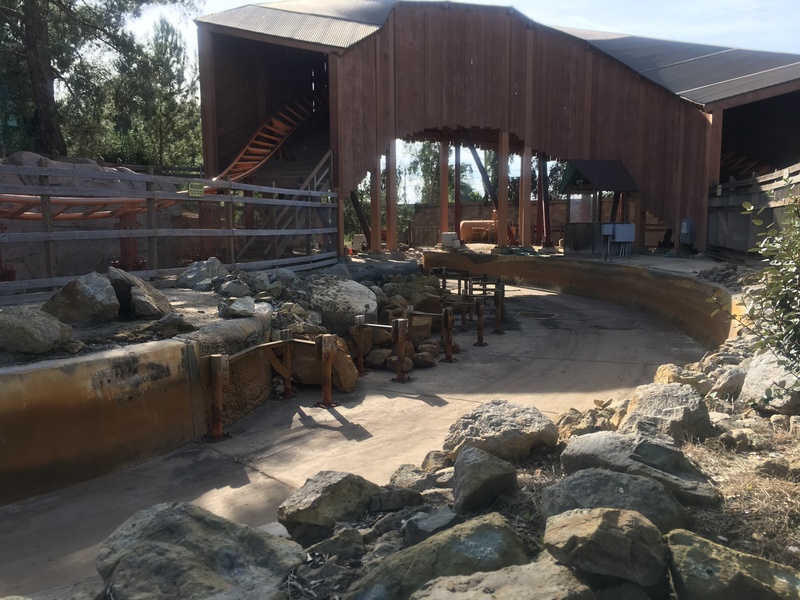 It will include newly themed animatronics and add a story line to the former Big Foot Rapids. There are many markers on the sight for the placement of new additions to the attractions. The water has been drained for some time now. 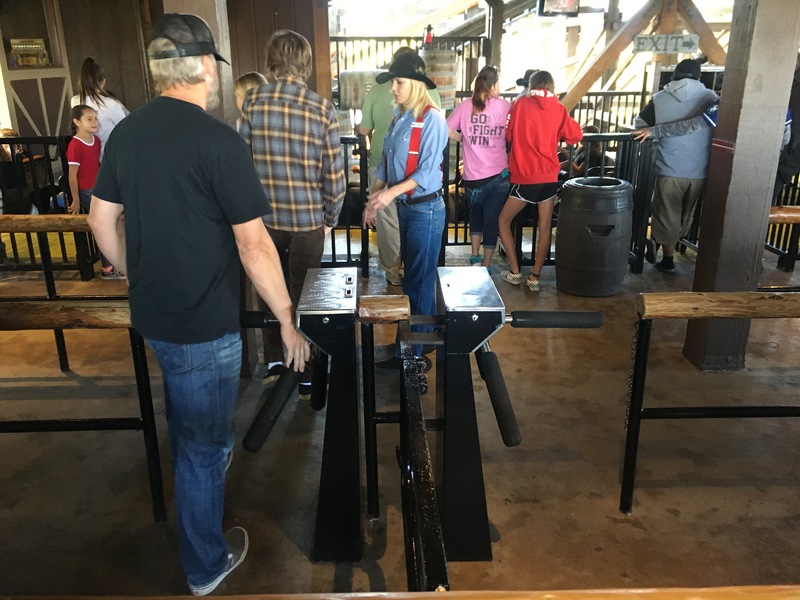 This will be one of the locations that guests can interact with riders by using the dynamite wetting jets and the mechanism is beginning to shape up. Just across the way, Pony Express had delays throughout the day. There seemed to be an issue with the sensors of the launch system as the maintenance team was on sight tampering with them. The attraction was only operating one train and it unfortunately was the longest wait of the day at 45 min. 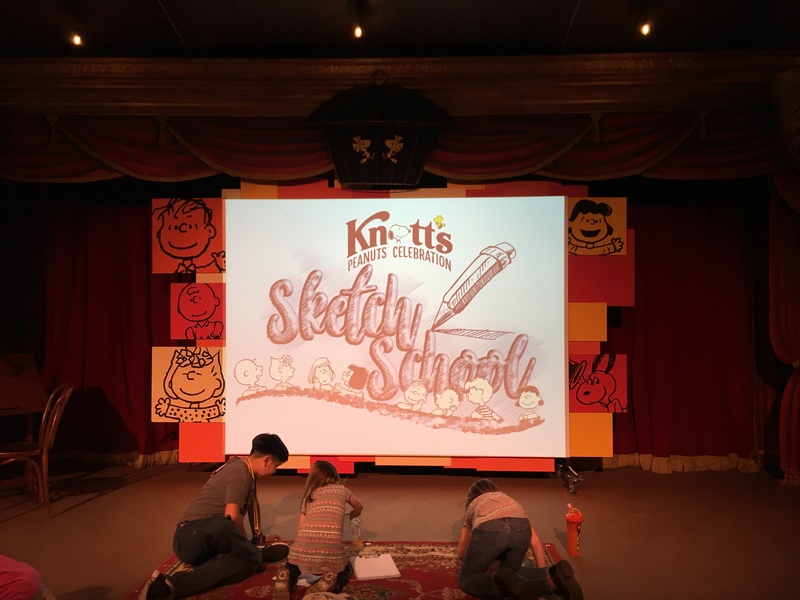 One of the best additions to the Peanuts Celebration was the Sketch School. Located in the Birdcage Theatre, this experience allows guest to re create a drawing of your favorite Peanuts characters. This is fun for all ages and was very relaxing! We ended up drawing Charlie Brown and it was amazing how easy it was to recreate these characters following the host guidelines. We definitely recommend doing this on your visit to the park. 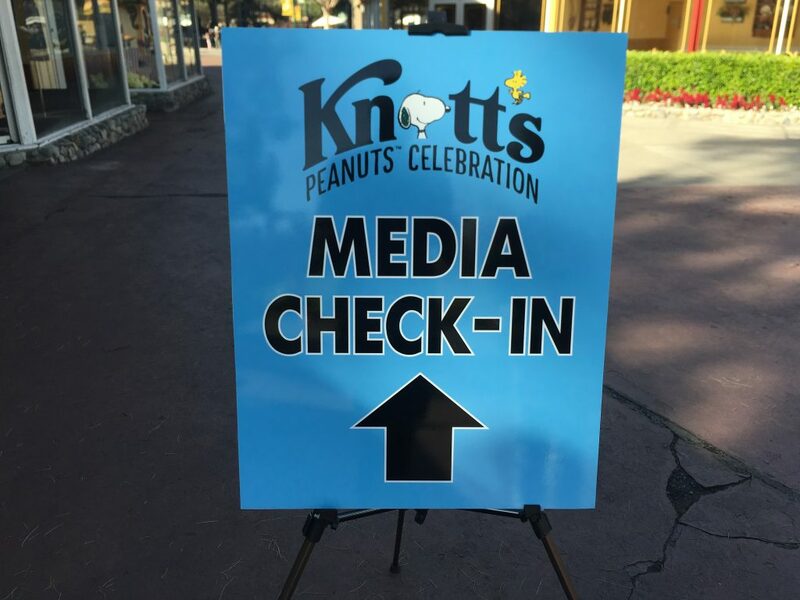 Knott’s Berry Farm did an amazing job with the Peanuts Celebration. This event will run weekends January 26- March 10 & Presidents Day. It brings out the kid in all of us. Thank You all so much for reading this update. 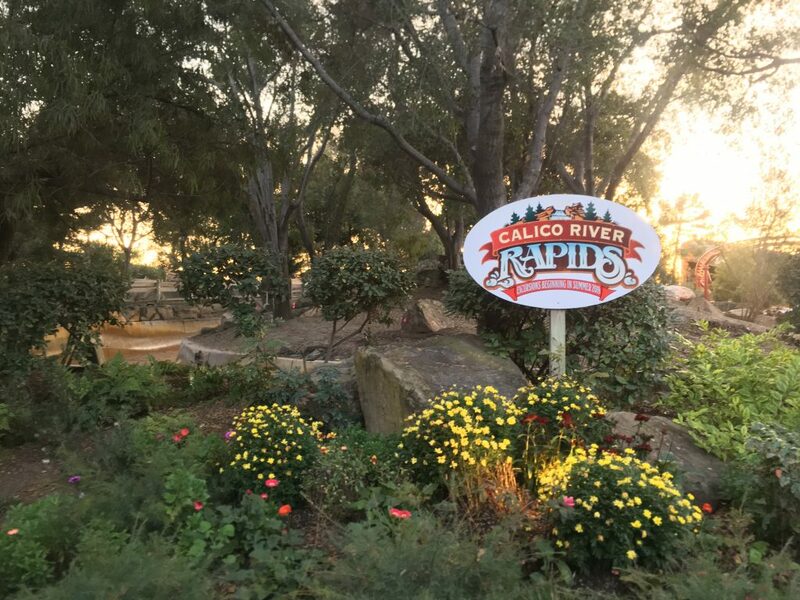 Be sure to check out our recent Busch Gardens Tampa Update !